The Election Commission of India (EC) in its November 17 order had recognised Bihar Chief Minister Nitish Kumar-led faction as the real JD(U). NEW DELHI: The Election Commission would pass an order on the issue of rejecting the claim of Sharad Yadav faction of Janata Dal (United) over the 'Arrow' symbol by Monday. 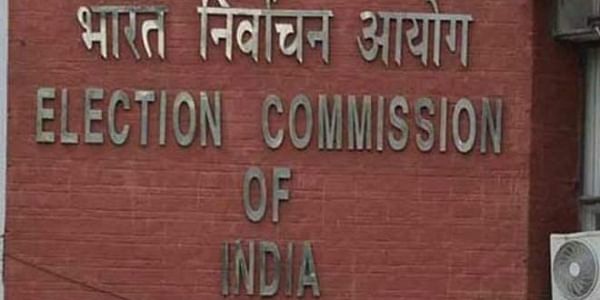 The EC counsel today told this to the Delhi High Court, as Justice Indermeet Kaur took his submission on record that a detailed order would be passed by the poll panel by Monday and disposed of a plea of a legislator of Yadav's faction of the party. The court had granted liberty to the legislator to challenge the findings of ECI. During the hearing, the EC counsel said that in view of yesterday's court order, the poll panel shall pass a detailed order on or before November 27. It was hearing a plea moved by Gujarat MLA Chottubhai Vasava, who is the acting president of the Yadav faction of the JD(U). The legislator's lawyer had told the court that the first phase of filing nominations for the Gujarat polls has got over and the second phase would be completed in another 10 days. So, it has to be decided before who will use the symbol in the upcoming elections, Vasava had contended. However, the lawyers for the Nitish Kumar faction had told the court that its members have already filed nominations with the 'Arrow' symbol as the EC had ruled in their favour. They had also said that the EC order had also given reasons for rejecting the claim of Yadav's faction as the poll panel noted that Kumar's faction had a majority in the legislature. Kumar and Yadav had parted ways after the former decided to join hands with the BJP in July, triggering a battle for the control of the party. Yadav had claimed that by ending the alliance with Lalu Prasad Yadav's RJD and deserting the greater 'grand alliance', Kumar had gone against the party's national executive's decision to oppose the BJP. As the rift between the two widened, Yadav held a 'national executive' conclave of the JD(U) here where Vasava was appointed the acting president. Vasava, who is also the Gujarat unit party chief and a six-term MLA, approached the ECI staking claim over the party and its poll symbol 'Arrow'. Yadav has all along maintained that the faction led by him was the real JD(U). The ECI, in its order, had said the group led by Kumar "has demonstrated overwhelming majority support" in the legislature wing as well as the majority in the national council of the party, which is the apex organisational body of the JD(U). However, Vasava's counsel had contended that the EC had relied on the "disputed" election of the national council and said that the party led by Yadav was the real JD(U). The two factions sought an early decision from the poll panel, noting that they wanted to contest next month's Gujarat Assembly polls using the 'arrow' symbol.